Yet another camouflage controversy? | Strike - Hold! Sorry if you’re getting bored with stories about camouflage, but it does seem to be THE hot topic of the moment…. 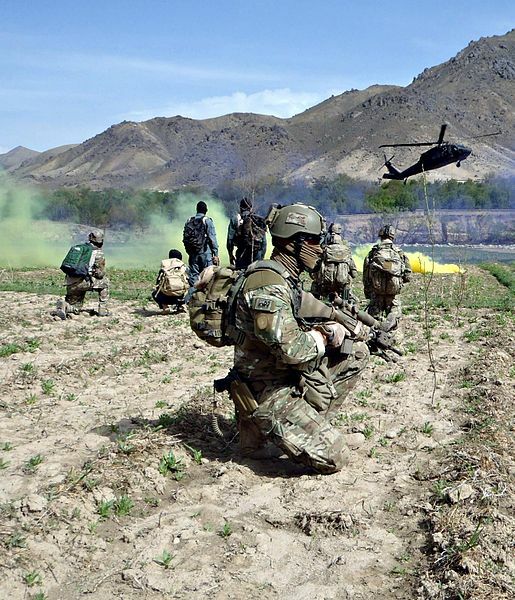 First there was the US Congress driven mandate to the US Army to find a more suitable replacement for UCP in Afghanistan – which led to the adoption of “Operation Enduring Freedom Camouflage Pattern” (OCP for short – is someone at Natick a fan of “Robocop”?). 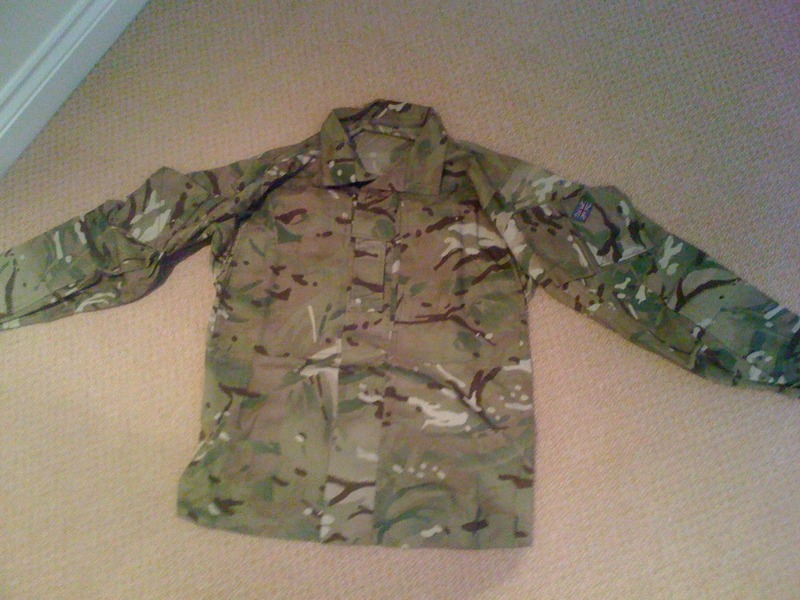 The Brits also got in the act (first) with a Crye-designed variation of MultiCam called “Multi-Terrain Pattern” (MTP). That decision that was not without its critics in the armed forces and in the defence industry, due to the way that the competition was held and that the contract went to a US company as well. So what’s the big controversy then you ask? 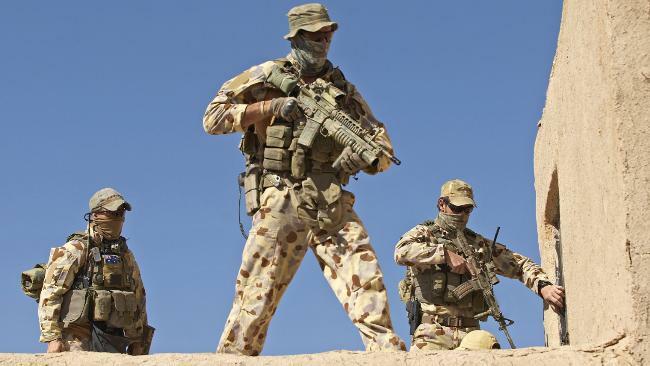 After all, Aussie Special Operations Forces have been wearing MultiCam in Afghanistan for yonks (just like their UK brethren), so who can blame the ordinary Digger for wanting to look cool and high-speed as well? And after all, if MC has such a track record of successful acceptance, why re-invent the wheel? 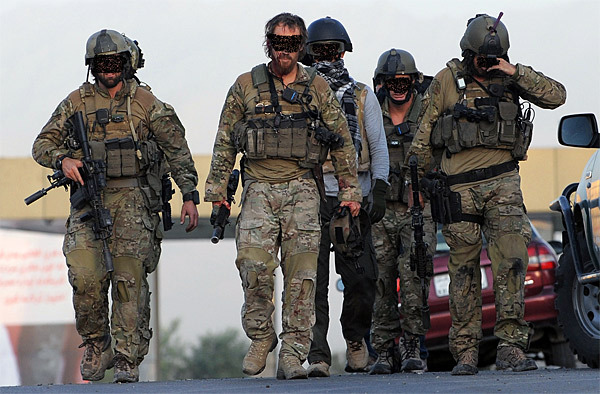 Aussie Special Operations Task Group operator in Afghanistan wearing a US-designed uniform, carrying a US-designed rifle and a German-designed pistol, waiting to be picked up by a US-designed helicopter. Well… At least a couple of companies in Australia that specialise in the design and production of camouflage for soldier’s uniforms have got their budgie smugglers in a twist over the fact that they were not invited to submit patterns for consideration by the Australian MoD. They’ve also claimed that they could have / would have done it cheaper than Crye. Hmmm. Surely the argument should be that the Australian MoD should have conducted an open process whereby the best-and-brightest could have submitted their proposals – even one’s from friendly / allied nations – and then have selected the best of the batch and negotiated the best deal. This is the process that the US and Poland are following in their quests for next-generation camouflage patterns, and it seems to be keeping people happy – as well as offering a real chance for the best pattern to win. There has also been a fair amount of nationalistic chatter about the ignominy of Aussie troops wearing a “foreign” camouflage pattern. 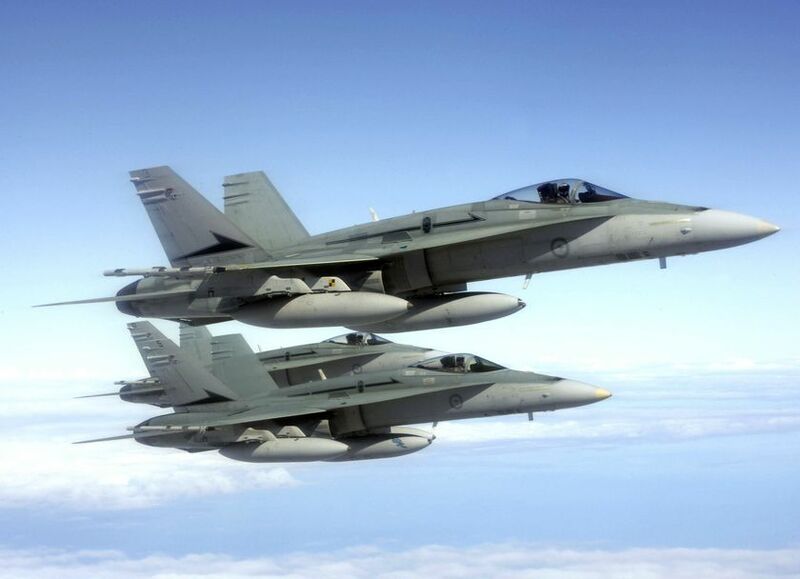 But that argument is as barren of logic as the Outback is of habitation – Australia’s SF troops haven’t had a problem with wearing a “foreign” camouflage pattern, nor has the Australian Army had a problem with carrying a “foreign” rifle or driving “foreign” tanks, and I’ve also never heard that the Australian Air Force has a problem with flying “foreign” fighter jets. 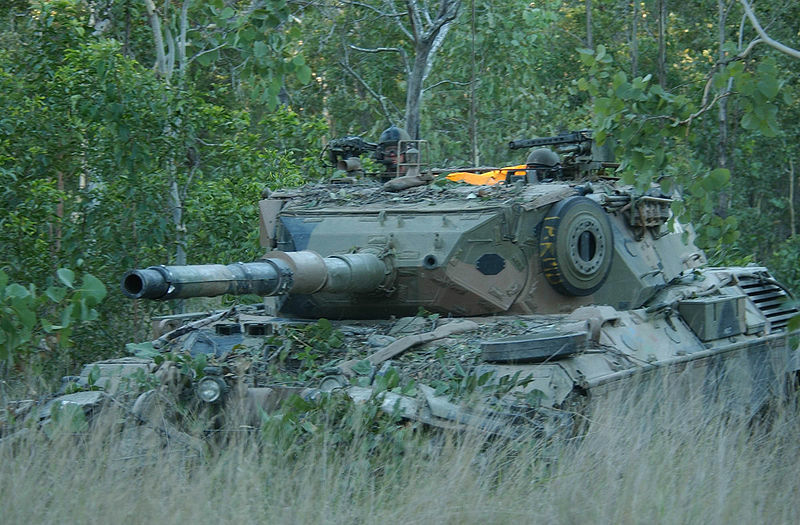 In the final analysis, this should have been a decision based upon a thoughtful, diligent and open process to select the best option for all of the Australian Army’s needs – rather than riding the wave of a popular military fashion trend. And whilst I can and do understand the hurt feelings of the Australian camouflage designers, let’s at least have a rational discussion about it, rather than the snivelling about “national identity” or sour-grape second-guessing and under-bidding of the chosen solution. Maybe the real gripe is that they don't want to be mistaken for Kiwis? Who in turn have been mistaken for Americans - or is vice-versa? You’re currently reading “Yet another camouflage controversy?,” an entry on Strike - Hold! ha ha ! That’s damned funny. You sound like you might be Aussie yourself. You got the lingo right on. Who else would know what a “budgy smuggler” is – deep! Australians have issues. It;’s cultural. Aussie businesses have the same issues. It is a sense of fear of being “outdone by” someone else. The Kiwis have it too (worse!) And then when you do excel or step ahead you get what is called here “Tall Poppy Syndrome” – a disease peculiar to Aussies: the desire to CUT DOWN the tallest poppy in the field ‘cos he’s getting ahead of everyone else. So all the Aussie businesses are doing here is crying “sour grapes” ‘cos someone BEAT THEM TO IT. Go Multicam! Go Crye Precision! F#$@ Australia. Remember one thing about Australia. In the beginning Australia was one big JAIL. Then one day after all the infrastructure was built they LET THE PRISONERS OUT. Those people – criminals – became what Australia is today. Of course they have issues! Nah – not Aussie. But I’ve known enough to know what “budgie smugglers” are. I do think you’re being too hard on the chaps down under though – most of them these days aren’t descended from criminals. And anyways, Old Mother England had a pretty wide definition of what constituted “criminals” fir for deportation. 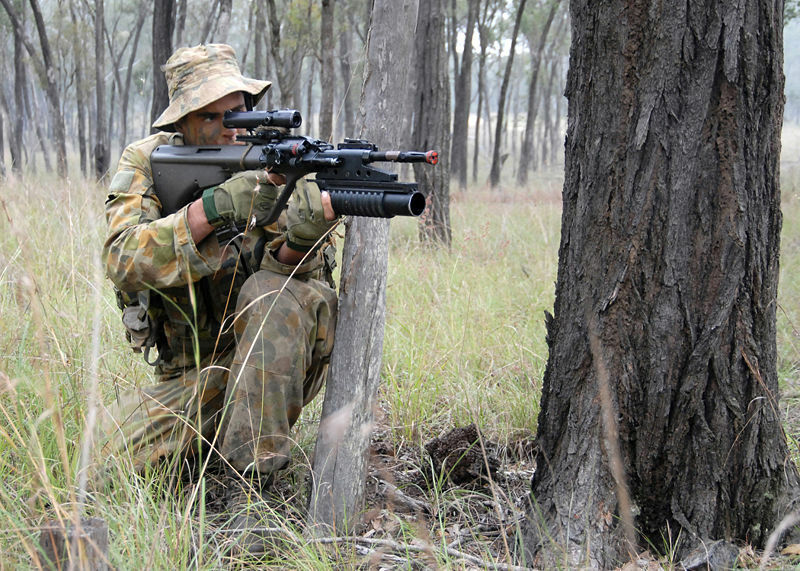 …l and one last thing FLECKTARN works better in Australia than “hearts and bunnies” anyway. Close quarters as in Paintball – Flecktarn RULES! Just get Flecktarn. The Japanese, Danish, and Chinese did (and probably others) Awesome camo. Flecktarn rules. Now, the “word” (ie. rumour) here in DK is, that we’re also going to switch to Crye’s “Jack-of-all-camo’s”. Hands down, i LOVE how the M/84 pattern works in our own territory, but I can’t stop thinking about the good ol’ days, when a pattern was unique to a specific country. How long time before every soldier and his dog will be wearing multi-splat? And, even more important, how many more blue-on-blue could we be looking at, if a multi-splat wearing friend turns enemy? All very theoretical, I know, but still!